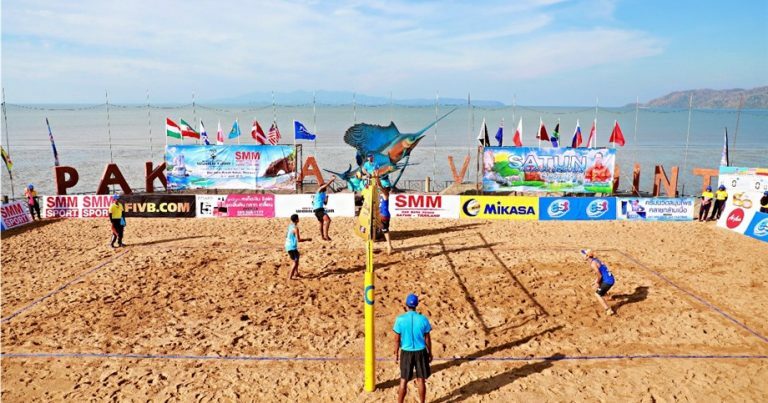 Satun, Thailand, April 9, 2019 – Favourite teams prevailed on the opening day main draw, with top seeds Arash Vakili and Bahman Salemiiinjehboroun dominating the men’s pool play in the FIVB Beach Volleyball World Tour Satun 1-Star on Tuesday. 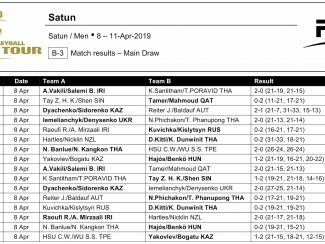 Iranians Vakili and Salemiinjehboroun got off to a great start in the four-day, double- gender tournament as they claimed two victories consisting a convincing 2-0 (21-19 21-15) win against Thailand’s Santitham Khruttha and Poravid Taovato and a 2-0 (21-15 21-13) rout of Qataris Assam Ahmed Mahmoud and Tamer Abdelrasoul in Pool A to advance to the Round of 12. 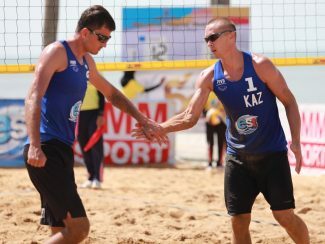 Second seeds Alexandr Dyachenko and Alexey Sidorenko also made a flying start to capture the top spot in Pool B following their two straight wins. 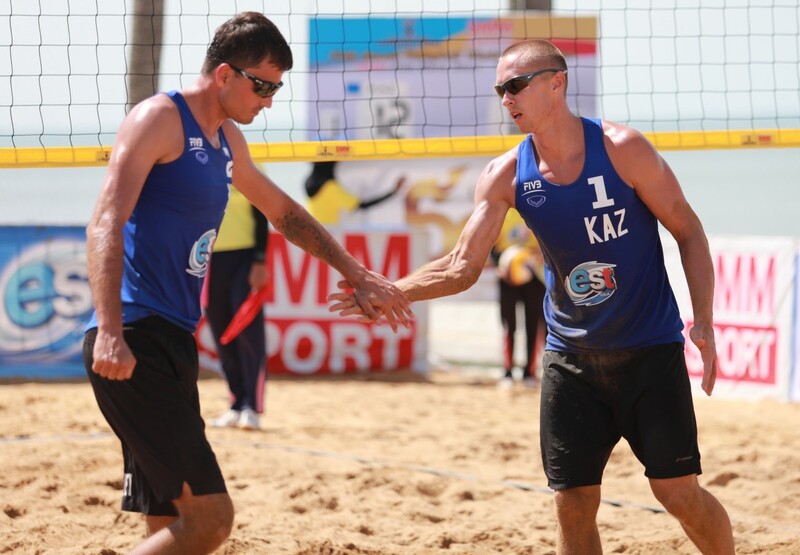 The Kazakhs first struggled hard to beat Austrian qualifiers Jakob Reiter/Simon Baldauf 2-1 (21-7, 31-33, 15-13) and then saw off Ukraine’s Denys Denysenko/Vladyslav Iemelianchyk 2-0 (27-25, 21-14). 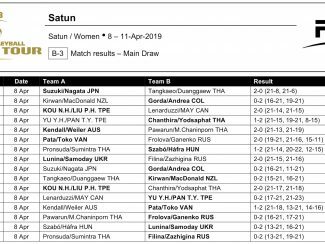 Also registering two victories to rule Pool C and Pool D respectively were Thailand’s Dunwinit Kaewsai/Kitti Duangjinda and Hungarians Artur Hajos/Balazs Benko. 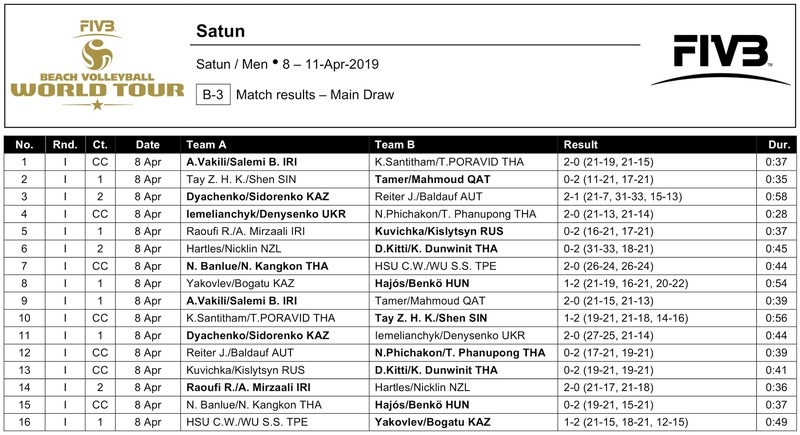 The Thai duo came up with straight-set wins over New Zealand’s Thomas Hartles and Alani Neckline 2-0(33-31, 21-18) and Russia’s Daniil Kuvichka and Anton Kislytsyn 2-0 (21-19, 21-19), while Artur and Balazs prevailed against Kazakhstan’s Dmitriy Yakovlev and Sergey Bogatu 2-1 (19-21, 21-16, 22-20) and Thailand’s Banlue Nakprakhong and Narongdet Kangkon 2-0 (21-19, 21-15). 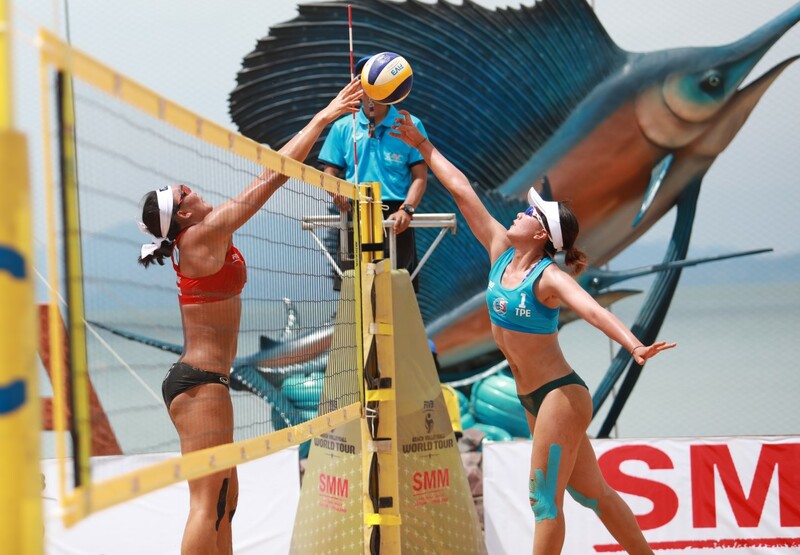 In the women’s event, Colombia’s Galindo Andrea/Galindo Claudia topped Pool A as they kicked off their campaign with a brilliant 2-0 (21-16, 21-19 ) win against New Zealand’s Francesca Kirwan/Olivia MacDonald to next stun Japanese top seeds Yukako Suzuki/Yui Nagata 2-0 (21-16, 21-11). 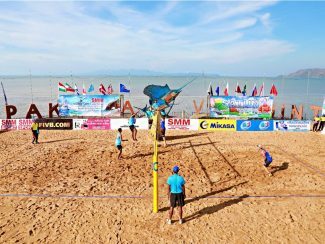 Second seeds Kou Nai-Han/Liu Pi Hsin remained invincible in the tournament to top Pool B. 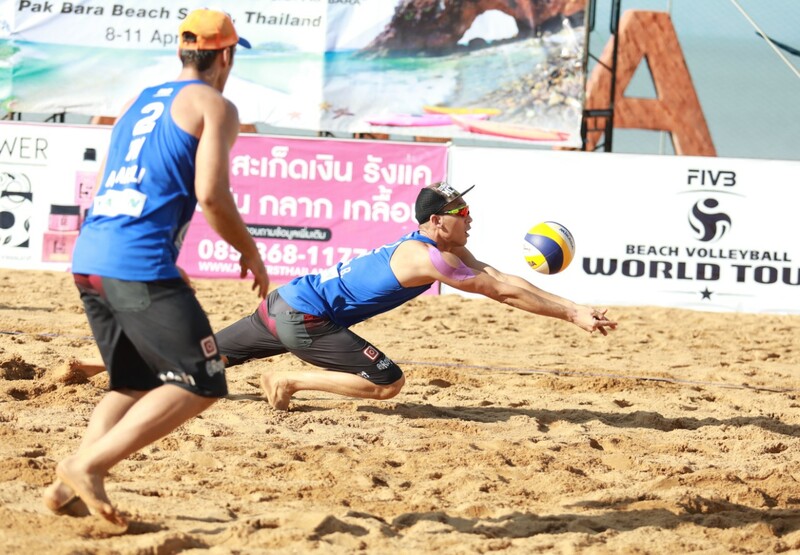 The Chinese Taipei tandem first powered past Canada’s Rian Lenarduzzi/Devon May 2-0 (21-16 21-19) and then repeated the similar feat after breezing past Thailand’s Chanthira Khanok/Yodsaphat Pakham 2-0 (21-17 21-18). 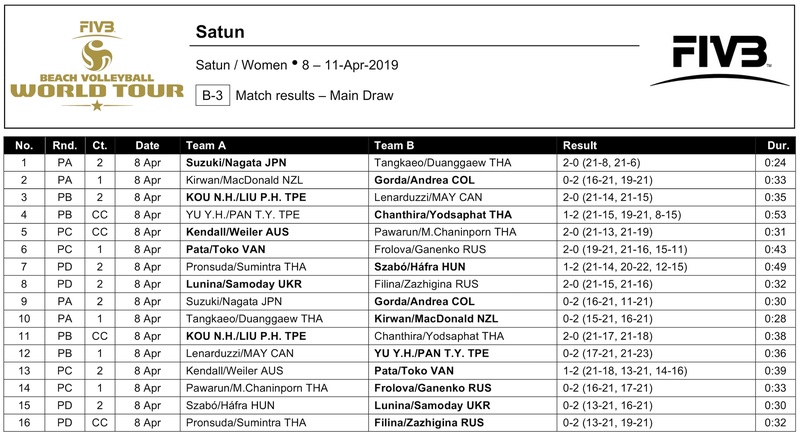 The third team to move to the Round of 12 with two straight-set wins were Ukraine’s Diana Lunina and Maryna Samoday, who outclassed Russia’s Ekaterina Filiina and Ekaterina Zhazhigina 2-0 (21-15, 21-16) and Hungary’s Dorottya Szabo and Dominika Hafra 2-0 (21-13, 21-16) in Pool D.
Vanuatu’s Sherysyn Toko/Miller Pata emerged as Pool C winners after winning two tiebreakers.They began with a comeback 2-1 (19-21, 21-16, 15-11) win over Russia’s Anastasiia Frolova/Aleksandra Ganenko and then completed their first day’s mission as they overpowered third seeds Brittany Kendall/Stefanie Weiler of Australia 2-1 (18-21, 21-13, 16-14). “We had two matches today. 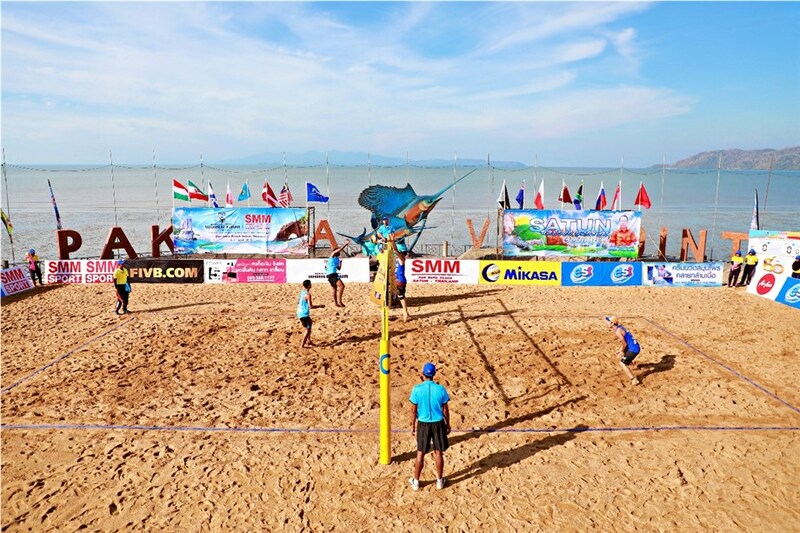 The first match we played against the Russian team and we won. The second match we played the Australian team and we won again, both in three sets. I am very happy for the results and what we have been doing. Our expectation here is we want to win as many matches as we can. 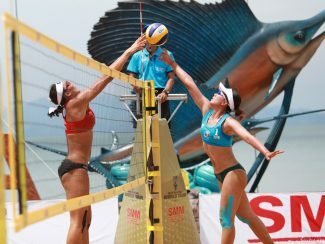 We want to play in the semi-finals and then the gold medal match,” said Pata. “We have trained hard together in Vanuatu to prepare for this tournament and other major tournaments this year. The weather here is as the same as our country. It is very hot and humid but we get used to it,” she added.